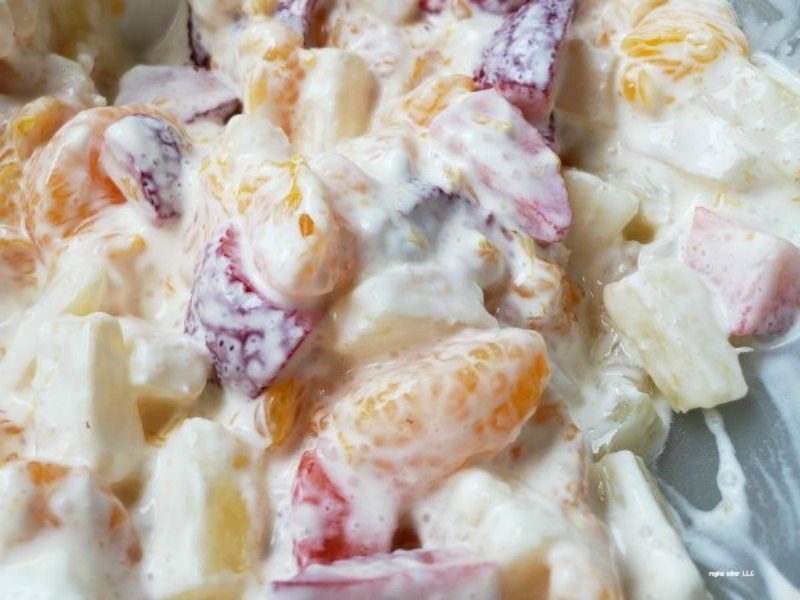 Ambrosia fruit salad has become one of my favorite salads. A way to get the kids to eat their fruits. 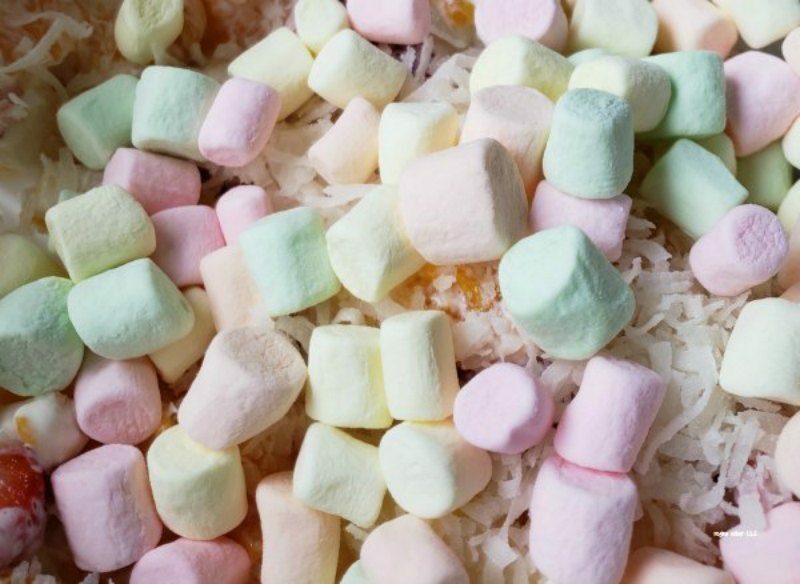 It’s healthy for you (minus the marshmallows). That is what I tell myself anyway. My family makes this for holiday and when we get together. I love that it’s easy to make. TIP: I would suggest that you do not add the bananas or marshmallows until just before you serve it. What happens is the marshmallows will dissolve and the bananas may brown if you don’t dip them in lemon juice. You can substitute and add a can of drained fruit cocktail in if you prefer. In a large bowl, add the drained oranges, drained pineapple and sour cream and mix until the sour cream dissolves. Add the coconut and bananas and mix. This is a great dish to bring to events as most of it is dumping in, not a lot of work. And no cooking, making it a great summer recipe too. What a great way to make the kids eat fruits. My daughter will love that, as she’s a huge marshmallow fan! Oh glad to hear she will just love this! I love ambrosia salad but I’ve never made it myself. Thanks to your post I think I can handle it. 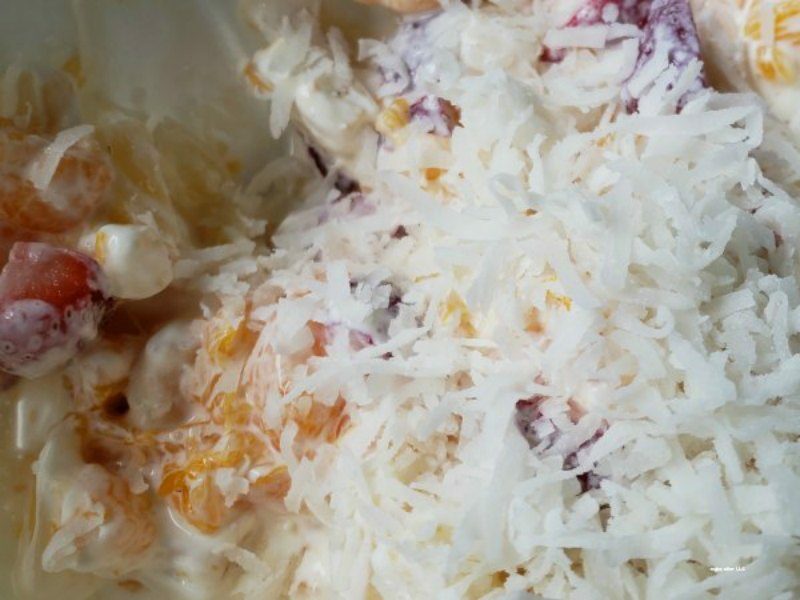 For Thanksgiving this year, I call dibs in bringing the ambrosia salad! It is a great salad for the holidays for sure! Yum, I lvoe this stuff! Your newest follower from the Blog Hop Socail. Thanks for stopping. This is delicious for sure! Oh yeah now I know how to make this! Thanks for sharing! 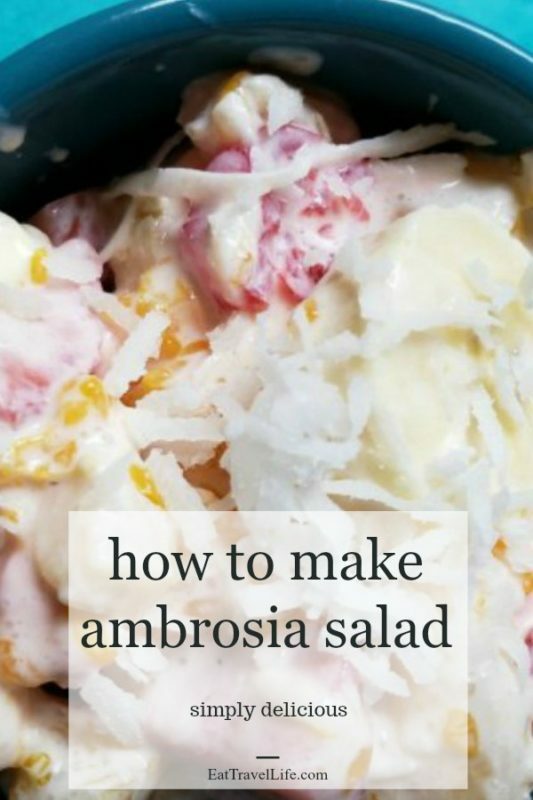 I have always wanted to know how to make ambrosia salad! I think I will use coconut yoghurt for the sour cream and maybe toss in some nuts or chia seeds for the marshmallows! Sounds great. I love that you can customize it to your tastes! mmm…coconut and bananas, I love that combo. It is yummy for sure! This really takes me back. My mom used to make this for us kids. I need to dust off this recipe! Oh great Shannon, you’ll have to make it for our family! This one is different and unexpected. It’s nice to try something new…thanks! I have only made it twice, but each time I wonder why I don’t make it more often. I guess it makes it more special. I am always trying to figure out healthy snacks with fruit besides just plain fruit and this looks absolutely amazing! Thank you so much I will definitely be trying this one out soon! This is very delicious and a great way to get kids to eat fruit! Enjoy! 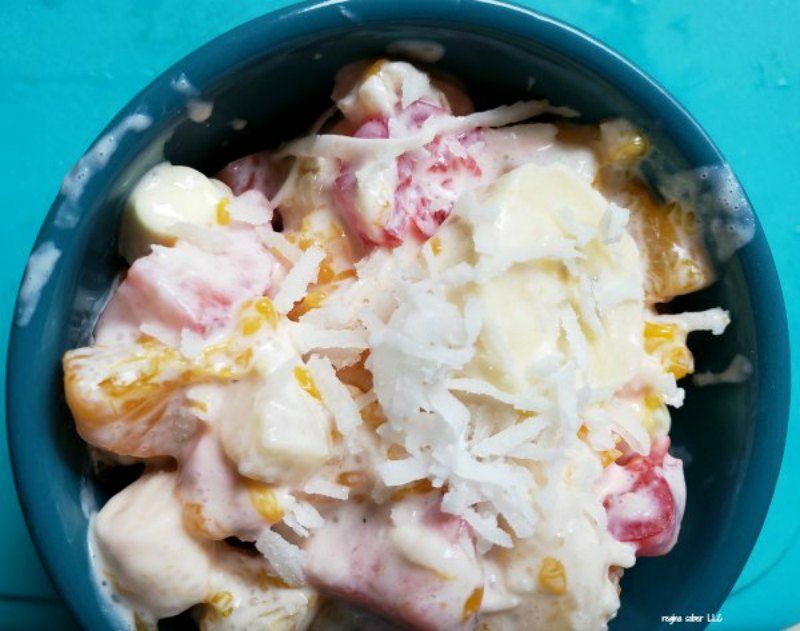 I love ambrosia salad but never made it before. Now I have a recipe and will make for sure. Thanks for sharing the recipe.